24/7 Help Available! Call Now! Below are several frequently asked questions. If you have additional questions that are not answered below, please feel free to contact Atlas Bonding in Greater Cleveland, Ohio at 216-961-1967 or 800-266-BAIL (2245). A bail bond is the document that is presented to the court to secure the release of a defendant who is in custody, and to ensure the appearance of the defendant at all required court hearings. 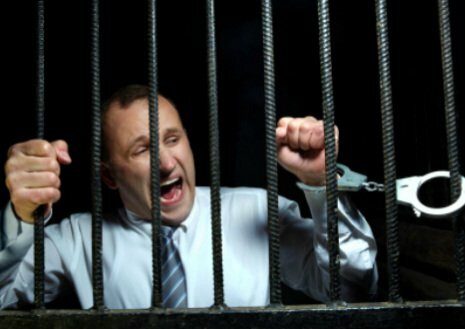 Typically, a bail amount is set by the local court jurisdiction following the arrest of a defendant. A family member, a close friend, or sometimes the defendant will contact a bail agent to arrange for the posting of the bail bond. The family member or friend that is guaranteeing the bond, also known as the indemnitor or co-signer, will complete paperwork and pay the premium, which is a percentage of the bond amount. By signing the paperwork, the indemnitor is guaranteeing that he or she will pay the full amount of the bond if the defendant fails to appear in court. Typically, collateral is taken from the indemnitor to secure the guarantee. An indemnitor/guarantor is an individual, usually a friend or family member of the defendant, who agrees to indemnify the bail agent against a loss. How does the collateral process work? Sometimes the bail agent will require collateral to secure the guarantee of the bond and ensure the defendant’s appearance in court. Collateral is anything of value that is pledged to secure the bond, such as cash, property, jewelry, etc. Upon complete resolution of the defendant’s case and payment of all premiums in full, the collateral is returned to the indemnitor. In most cases, collateral is returned to the defendant upon discharge or exoneration of the bail bond. A judge or magistrate normally sets the amount of bail for each defendant. They will consider many things in this process including the nature and seriousness of the charges, the weight of the evidence, the defendant’s character and history as well as other factors to determine the overall potential flight risk of the defendant. Additionally, many states and counties also have what is called a bail schedule, which is a set of guidelines comprised of bail amounts and ranges for specific crimes. In addition to the factors listed above, judges very often utilize these schedules to assist them in determining the appropriate bail amount. Acceptable forms of payment are typically cash or credit card. In some cases, Pay Pal options may be available as well as payment by check. Depending upon the agent and location, payment plan options may be available. The fee for a bail bond is normally restricted by law and is a certain percentage of the bond amount, often 10% of the bond. Once a bail agent has been contacted, it usually takes less than an hour for the paperwork to be completed. However, release times vary from jail to jail and state to state. It could take as little as thirty minutes or as long as forty-eight hours to be released from jail. If a defendant fails to appear in court, the court issues a bench warrant for that person’s arrest and they are considered a fugitive. Generally, the bail agency is authorized by the court to arrest the individual. Fill out our short form and we’ll contact you to finalize the details of your bail bond request! We understand that the bail bond process can be confusing and are happy to answer questions. Find more information about our bonding services and details about how the process works. Many years of experience and excellent services. Read about how our customers say about us! We’re available 24/7 to immediately service your bail bond needs at the lowest possible rate.